Thanks to the power of its striking visuals, Instagram has emerged in the past year or so as the image-marketer’s favorite social network. Emotionally evocative when they're at their best, Instagram visuals make a quick and lasting impression on audience members. No wonder nearly 71 percent of US companies are projected to be active on the platform within the next year. Engagement is also huge on Instagram. Posts on the platform see some 4.2 billion "likes" in any given 24-hour period, and the average account’s follower growth rate is a staggering 237 percent. Of course, as happens with any social network, you may fall into the trap of focusing disproportionately on amassing those followers. But, in fact, your follower count is a “vanity metric” -- it doesn’t necessarily translate into actual transactions. The potential is there, though. About 50 percent of all Instagram users follow brand accounts, 60 percent learn about products and services via the platform and 75 percent take action after being inspired by a post -- through actions like visiting a website, performing searches, telling a friend or actually shopping. Tapping into the sales conversion power of Instagram takes a plan. That’s often easier said than done, however. As marketing-friendly as Instagram may be, it doesn’t support clickable media, aside from one URL in your bio. So, how do you use it to drive organic, engaged traffic to your site and boost sales? That’s where these six simple tips come in handy. 1. Make your posts shoppable. This “shoppable Instagram” solution is the ecommerce tool you wish Instagram had created first. When your followers click through from your bio link to your Yotpo-powered Shoppable Instagram catalog, they’ll see all of your Instagram images, in an interface that looks and feels just like Instagram itself, except that these posts, when clicked, lead to your product pages. What’s more, it’s all integrated with Yotpo’s powerful tools for collecting and publishing verified customer reviews of your products, so you get the added impact of social proof. Customers feel more confident in their easy and secure purchases. and your bottom line improves. Everybody’s happy. 2. Never underestimate your CTAs. Instagram may be a visual platform, but you’ve still got space to add a solid call to action in your post descriptions. Customers want to be told what steps to take next. Including a great call to action (CTA) in every post is a great way to turn those customers from browsers into buyers. Your CTA doesn’t have to be complex. Try something as simple as “Love it? Click the link in our bio to get your own.” Just make sure to update the URL in your bio to lead to the right product page; then watch the sales roll in. You can do this with a third-party app that optimizes the experience; but manual linking, updating and captioning works too. Getting your customers to make that first purchase may be one of the biggest hurdles you’ll face. A carefully placed discount offer can be the perfect tool for getting your followers to open their wallets. It adds to the value you provide your followers on an exclusive basis. Combined with the right hashtag, this kind of Instagram activity is likely to drive conversions and earn high share counts -- aided no doubt by Instagram’s integrated sharing features for Twitter, Facebook and Foursquare. This tactic pays off handsomely, because when people know they can regularly grab a discount or two from your Instagram feed, they’re all the more likely to stick around. And if you use channel-specific coupon codes, you’ll always know that it’s Instagram that drove those sales. Audience members love Instagram contests. In just a few seconds, they can enter to win great prizes -- and you get plenty of new customers ready to buy, having just browsed the goodies you sell after seeing your contest post. If you’re a multi-channel merchant, you can even use this tactic to inspire physical store visits. Just require that people take selfies with the merchandise. Driving engagement, sales and follower counts, Instagram contests are an easy way to improve your sales numbers. Managing them and figuring out who wins is another story. Wishpond is an easy-to-use option that integrates with everything from MailChimp to Salesforce, helping you get the most bang for your contest buck. With a free 14-day trial, there’s little risk in taking this contest app for a test run. 5. Show off the people who love your brand. User-generated content is marketing gold. It connects your customers directly with your brand, helps them feel connected to you and provides authenticity in a way nothing else can. Harnessing it can be tough on most social platforms, but Instagram is different. The speed and appeal of Instagram makes it easy to search or ask for great content and share it quickly. And when you're a customer who can actually see real people using a product, it’s that much easier to identify and picture yourself in a similar use-case situation. There are plenty of ways to get started with this tactic. You can tie it into a contest as I mentioned above, offer a discount for the first 100 customers to show off your product with a matching hashtag or get influencers in on the game, as Chanel did in this unbeatable campaign. 6. Tell a great (visual) story. Storytelling: You know how valuable it is, but when you don’t have words at your disposal, how can you capture a great story? Start by remembering the old cliché that a picture is worth a thousand words. Instagram storytelling can be done with a single still, if it’s done well. What’s more, using Instagram videos gives you more time to get your message across, especially if your customers have autoplay enabled. You can also test your creativity, with the new Instagram Stories feature to create series of annotated posts. The new feature lets you post a story that disappears in 24 hours, so it’s a great way to share promo codes or discounts. Just make sure your imagery is as exciting as the product or service you’re selling. Running a contest will help you catch more attention and attract shoppers who love your style, but to keep them, you need to stay creative, no matter what industry you’re in. You can do that through creative messaging, user-driven content or visual storytelling. 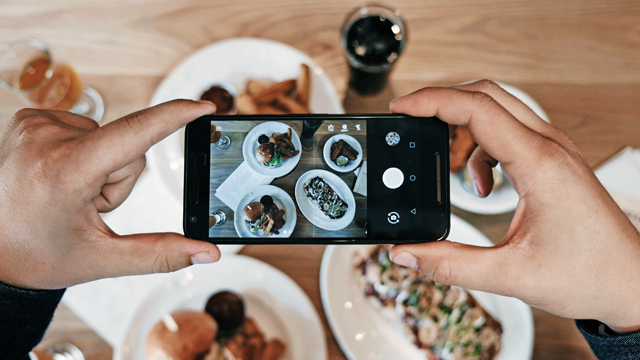 If your Instagram feed is looking a little lackluster, use the tips above to help you rethink your current strategy. Make sure you are using clear calls to action, give your customers the chance to shop for your products with as little friction as possible and offer the occasional discount or promo code to nudge them closer to making that purchase. It’s time to move past gaining followers to making sales.